Martin Handley explores the importance of Italian music publisher Casa Ricordi. With contributions from Simonetta Puccini and Ricordi family members. Martin Handley explores the importance of the famous Italian music publishing firm Casa Ricordi. 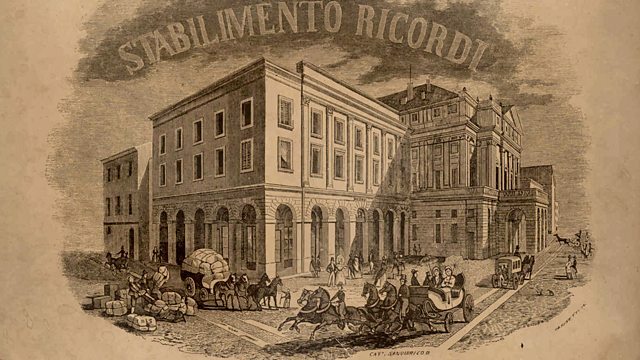 Throughout most of the 19th and 20th centuries, the history of Italian opera was directly tied to the fortunes of this single family publishing house, based in Milan. The company was founded in 1808 by Giovanni Ricordi, a violinist who led the orchestra in a small Milanese theatre. From very small beginnings, the business grew rapidly and in 1814 he won the exclusive right to publish all the music performed at La Scala, where he was a prompter. Ten years later he purchased the venue's entire archive, and by 1835 Ricordi boasted a catalogue of 10,000 publications. These included most of the operas of Rossini, Bellini and Donizetti. But the company's special relationship with Verdi and Puccini was especially significant. Giovanni's grandson Giulio persuaded Verdi to come out of retirement in 1880 and later played a vital role in Puccini's artistic career, publishing all his works. Casa Ricordi was also the first to come up with the 'royalty' concept and successfully lobbied for one of the first laws to protect composers' (and publishers') copyright. But was the firm always rigorous in its production standards? The music includes many important operas from the 19th century, including Rossini, Bellini, Verdi and Puccini. Contributors include Simonetta Puccini, Ricordi family members, Ricordi managing director Tino Cenamo, former Ricordi director of publishing Gabrielle Dotto, music historian Philip Gossett and Verdi expert Cormac Newark.